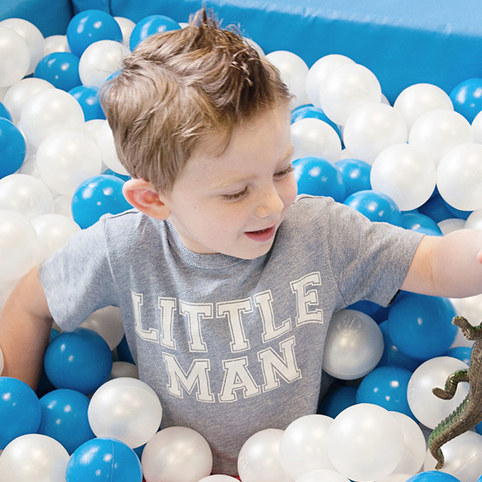 All members of The Ark Centre team are committed to providing each child that attends sessions with us the support and dedicated care they need to flourish. Our team of Behaviour, Occupational and Speech and Language Therapists are experienced and fully trained and are responsible for both designing and delivering the therapy programmes on offer at The Ark Centre. Whilst studying for her BSc (Hons) in Psychology, in 2010 Emma started work on a PEACH home-based VB/ABA programme. She has worked on a range of home programmes since then, both as a tutor and lead-tutor, and has received extensive training from a number of consultants. Emma also had the privilege of working as an NHS Research Assistant for the Child and Adolescent Mental Health Service (CAMHS), wherein she delivered one-to-one neurofeedback training to children with ADHD and Attention Deficit Disorders. In 2017, Emma started her MSc in ABA at The University of Kent; she is due to graduate in May 2019. Emma co-founded The Ark Centre in 2015. Chloe began her career in respite care in 2009, working with a variety of children with additional needs. During this time, she met a family that was running an ABA home programme, and this inspired her to begin her training as an ABA tutor. Since then, Chloe has gained experience working on a number of programmes and has spent two years in a primary school working as a school shadow for a child with autism. She is currently in the final year of her Childhood Studies degree. Multiple ABA and VB consultants have contributed toward Chloe’s extensive training. As well as gaining qualifications in Counselling Skills and Studies, Chloe has gained an advanced Level 3 qualification in Supporting Children and Young Adults with Autism. Chloe co-founded The Ark Centre in 2015. Charlotte has working the VB/ABA field since 2008, beginning as a nursery worker whilst she studied for her BA (Hons) in Early Years Education. It was during this time that her passion for VB and autism was sparked, having met a family with a child with autism on a VB/ABA programme she was attending. Having completed training with PEACH, Charlotte accepted a position at TreeHouse, where she worked as a tutor and received extensive training, further developing her knowledge and experience. After 2 years at TreeHouse, Charlotte returned to delivering home-based VB and ABA programmes. Charlotte co-founded The Ark Centre in 2015. Jane is a double national award-winning Speech and Language Therapist, with extensive experience in paediatric Speech and Language. Having qualified with a Joint Honours degree in Psychology and Speech Pathology in 2000, Jane has worked within the NHS before setting up “Let’s Talk” in 2009. Having worked collaboratively on integrated therapeutic programmes in the past, Jane has a particular interest in ASD, Verbal Dyspraxia and Speech and Language Delay/Disorders. Jane has a Level 1 qualification in TalkTools and is a Signalong and Hanen tutor. She also formed part of the Steering Group for the Grove House School, a specialist SLT free school in Brentwood. 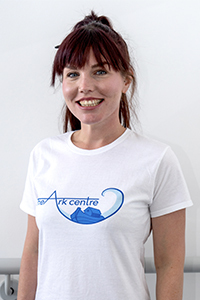 Jane joined The Ark Centre in April 2015. 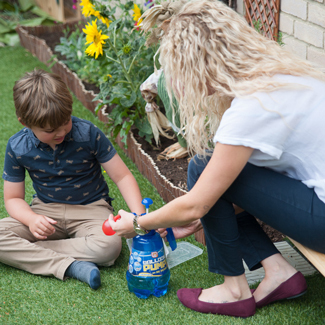 It was her own experience of having a child with a Sensory Processing Disorder that led Charlotte to practice as a Paediatric Occupational Therapist. 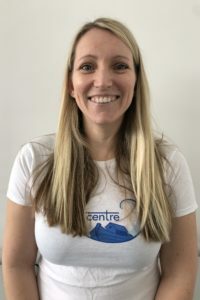 Charlotte has a BSc (Hons) in Occupational Therapy, has a post-graduate certificate in Sensory Integration and is a certified Therapeutic Listening practitioner. She has worked as an OT for the NHS within physical rehabilitation, in-patient and community mental health, and during her time with the NHS, Charlotte research of sensory integration theory with adults with mental health problems. 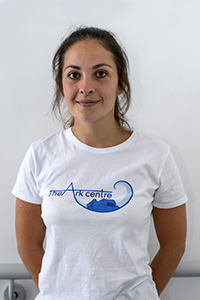 Charlotte joined The Ark Centre in April 2015. Christina graduated from The University of Southampton is 2003, qualified as an Occupational Therapist, and has completed post-graduate qualifications in Sensory Integration Therapy and Bobath Therapy. 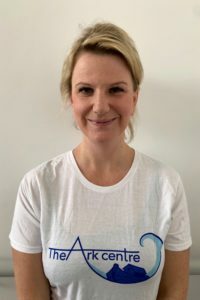 She has worked in a variety of hospital and community settings over the past 12 years, with both adults and children, but decided in 2009 that she would specialise in paediatrics – in particular working with children who have sever autism and sensory processing difficulties. Since then, Christina has worked with children aged 0-19 years of age, supporting them with a range of physical and learning difficulties. 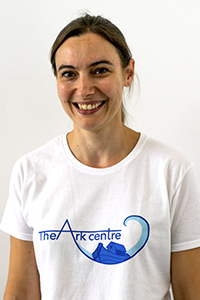 Christina has worked with The Ark Centre since September 2015. Niall Conlon is a Board Certified Behaviour Analyst (BCBA) who has worked as an independent consultant with the Health, Education and Social Care sectors since September 2017. He completed the MSc Psychology (ABA) in Trinity College Dublin in 2011. He is currently completing his PhD at London South Bank University where he is researching organisational and staff training factors related to the successful implementation of PBS and ABA. Niall has been a committee member of the Psychology Society of Ireland’s Division of Behaviour Analysis and was the division’s media liaison. He was a founding member of ABA Ireland and a member of the UK Society for Behaviour Analysis. Niall began working with children with autism in 2009. He worked for three years as an ABA tutor at the Applied Behaviour Analysis School for Children with Autism in Kilbarrack Dublin before moving to St. Catherine’s Association in Wicklow where he worked as an ABA supervisor. In 2013, he began working as an ABA consultant with Ambitious About Autism’s Treehouse School in London before leaving to help set up the REAL Focus ABA Social Care section of Dimensions-UK as its Senior Behaviour Analyst in 2015. 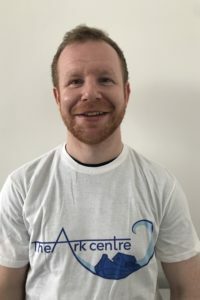 Niall joined the Ark Team in June 2017. Since beginning her career at Columbus School and College as a Communication Assistant, Chloe gained five years’ experience of working with children with severe and profound learning difficulties, which included children with autism. Chloe has a BSc in Early Childhood Studies and Psychology and has had the privilege of working closely with the Speech and Language Therapists to learn how to use PECS, Makaton and Intensive Interaction techniques in her programmes. 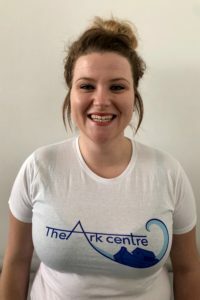 Chloe has worked at The Ark Centre since February 2016. 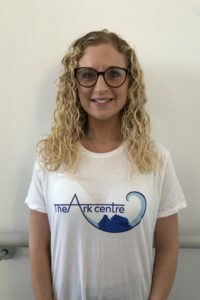 Luisa joined The Ark Centre team after gaining vast experience with ABA therapy at TreeTops school in Thurrock, where she has worked since 2013. Throughout her time at TreeTops, she worked on a one-to-one basis with children aged between 4-18 years who had a variety of learning and behavioural difficulties. She brings a wealth of knowledge, practice and enthusiasm to the team. Luisa graduated from The University of Essex with a Psychology degree in 2013 and began her MSc in ABA at The University of Kent in 2017. She is due to graduate in May 2019. 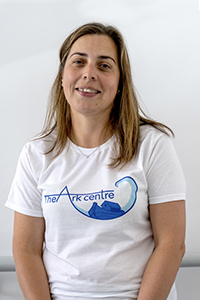 Luisa has worked at The Ark Centre since September 2016. Andrea holds an Early Years Level 3 Diploma in The Young People’s Workforce and has gained a wealth of experience since beginning her career in Early Years. Within her last Early Years setting, she met a family running a home-based VB programme for their child with autism and spent time working alongside the tutors to support the child in the nursery setting. Witnessing first-hand the progress the child made is part of what sparked Andrea’s specific interest in VB and led to her seeking a career at The Ark Centre. 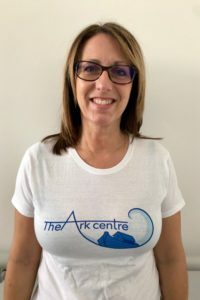 Andrea joined The Ark Centre team in January 2016. Charly has completed NVQ Level 3 in Children and Young People Social Care and NVQ Level 4 in Children and Young People Social Care Management. She began her career working in a short-term break service for children with additional needs and challenging behaviour. Whilst there, Charly became a part of the senior team and completed extensive training within the field, which included Sensory Integration and levels 1-9 of Makaton. 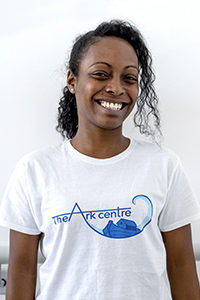 Charly joined The Ark Centre team in November 2016. Ellie’s passion for enhancing the lives of children came from working in India, where she spent a month volunteering and teaching children living in the slums of Goa. Ellie achieved a lot in this time, working with children aged 4-17 years, empowering them with the English language, hygiene education and computer skills. Working so closely with individuals who share a different language to herself enabled her to practice and hone her non-verbal communication and interaction skills. Whilst taking a Psychology and Counselling degree at The University of Roehampton, Ellie travelled to Tanzania to work on a project within an under-privileged school to educate children through play. This boosted her confidence and pushed her to search for work in England where she could apply the skills she had gained internationally. She is now trained as a Behaviour Therapist and key worker. 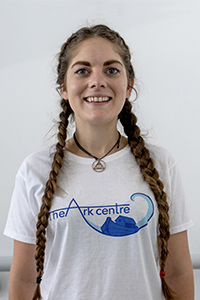 Ellie joined The Ark Centre in December 2016. Venicha’s interest in childcare was sparked after a younger sibling was born, needing additional support from various professionals, one of which being portage workers. After observing their sessions and picking up some Makaton sign language, this inspired her to pursue a career in early years. Venicha gained her NVQ Level 2 and 3 in Childcare along with a portage certificate along the way. Amy brings 8 years of experience in Early Years. She studied a degree in BA Hons Early Years Professional Practise and graduated in 2015. Amy has worked as a 1:1 in a range of schools and nurseries supporting children with Special Educational Needs aged 2-18. It was during this time that her passion was sparked for working with children with ASD. 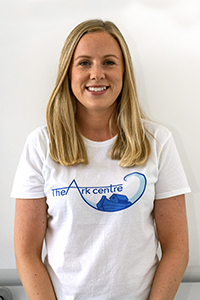 Amy joined The Ark Centre in September 2017. Lauren’s experience working as a Learning Support Assistant at Columbus School and College, working as a 1:1 with a student with significant needs was a truly life changing experience for her. It made her realise what she can give and what she can get back from working with these extraordinary people, of all ages. Lauren is a bubbly, enthusiastic person who is totally committed to making a difference to those with special needs because they make a difference to her. 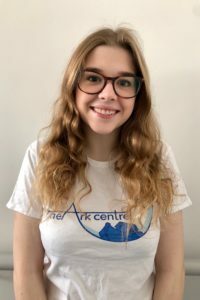 Lauren joined The Ark Centre in August 2018. 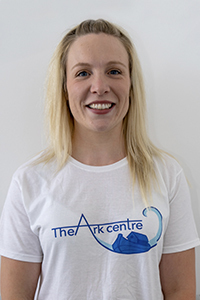 Helen joined The Ark Centre in November 2018. 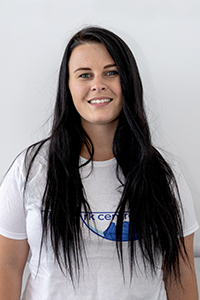 Heidi has completed a National Diploma in Childhood Studies, followed by an NVQ level 3 in Health and Social Care and an NVQ Level 4 in Children and Young People Social Care Management. She began her career working in a Short Break Service for children with challenging behaviour and additional needs. Whilst there Heidi became part of the senior team and completed a wide range of training including Sensory Integration and Makaton in Levels 1-9. Heidi’s favourite quote is ‘children are likely to live up to what you believe of them’. 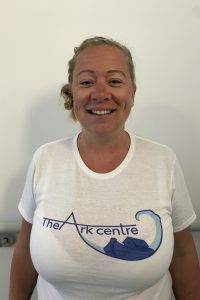 Heidi joined The Ark Centre in October 2018.